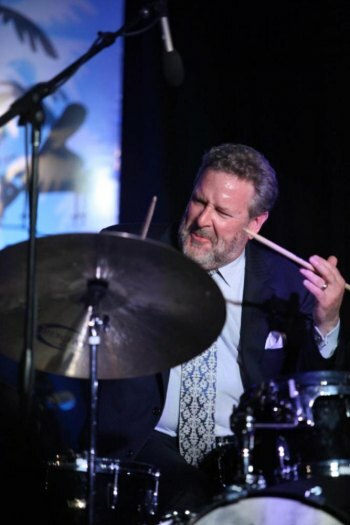 HUNTINGTON, W.Va. – Marshall University will host world-renowned jazz drummer Jeff Hamilton on its Huntington campus for a three-day residency with Marshall’s Jazz Studies program. His visit will conclude with a performance with the MU Jazz Ensemble I at 7:30 p.m. Wednesday, April 18, in Smith Recital Hall.The concert is free and open to the public. While on campus April 16-18, Hamilton will present multiple master classes, engage with students in classroom and ensemble rehearsal settings, and share his wealth of knowledge gathered from more than 40 years of performing and recording. Co-leader of the Clayton-Hamilton Jazz Orchestra and leader of the Jeff Hamilton Trio, Hamilton has performed with Ella Fitzgerald, the Count Basie Orchestra, Mel Torme, Natalie Cole, Barbra Streisand, Clark Terry and others. Hamilton’s residency is part of the Jomie Jazz Guest Artist Series, which brings jazz performing artists to campus each semester to enhance the educational experience of Marshall’s jazz studies students. For more information on Marshall’s jazz studies program, including upcoming events, visit www.marshall.edu/music/jazz or contact Jeff Wolfe, instructor of jazz studies, at wolfe9@marshall.edu.